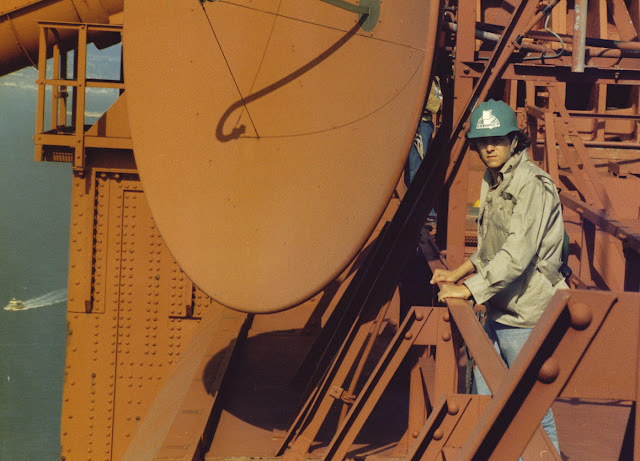 Atop the South Tower, Golden Gate Bridge '87. 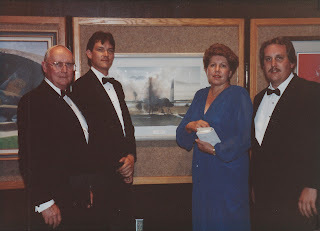 to participate in the Air Force Art Program. were flown to Guam in December of '86 to cover the Christmas Drop. a trip to Alaska, and nobody except me was willing to go to Alaska in January.